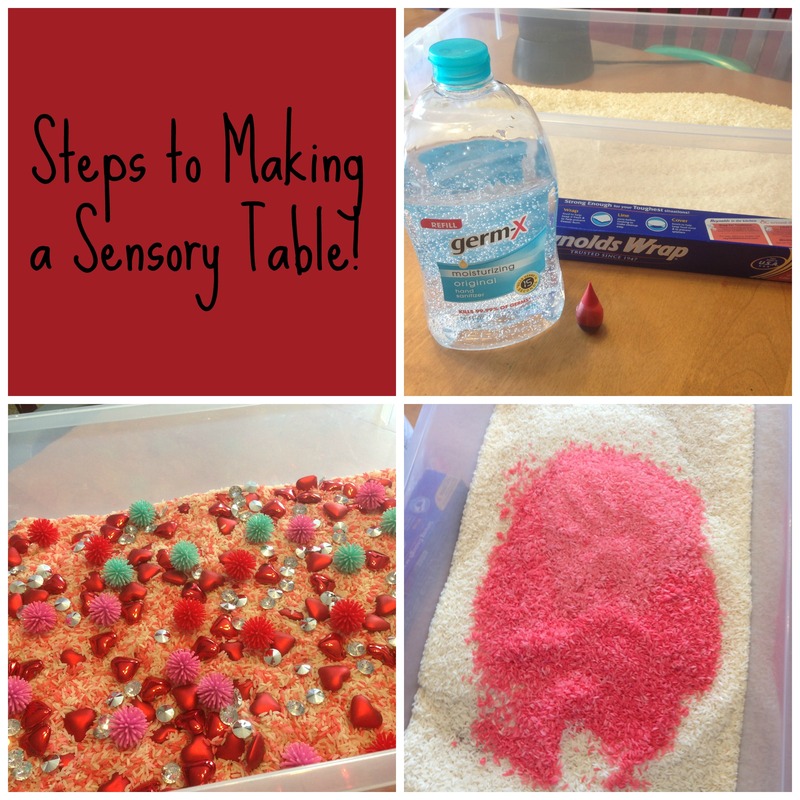 If you were like me looking at all of the sensory tables out there and wanting to know how do they do that? I have a few easy steps to help you get started. 1. Think of a holiday or theme you would like to do. 5. Add it together and create. 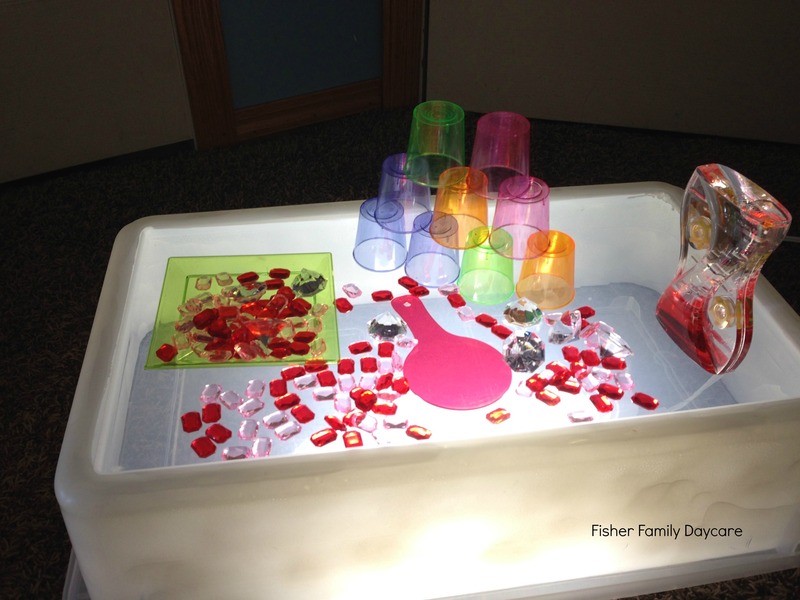 Remember you can always add or take things away from this sensory table. Be patient. Maybe your child will have an idea when he/she starts to play with it. 1. 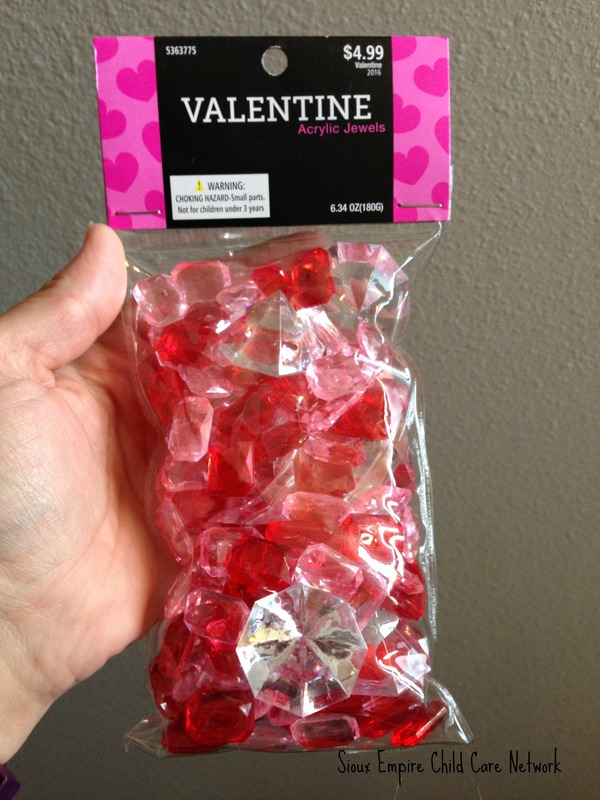 Valentine’s Day is around the corner. I needed something new to use. 2. I have a ton of rice. I can color some of it so it is white with the red/pink specks in it! a. 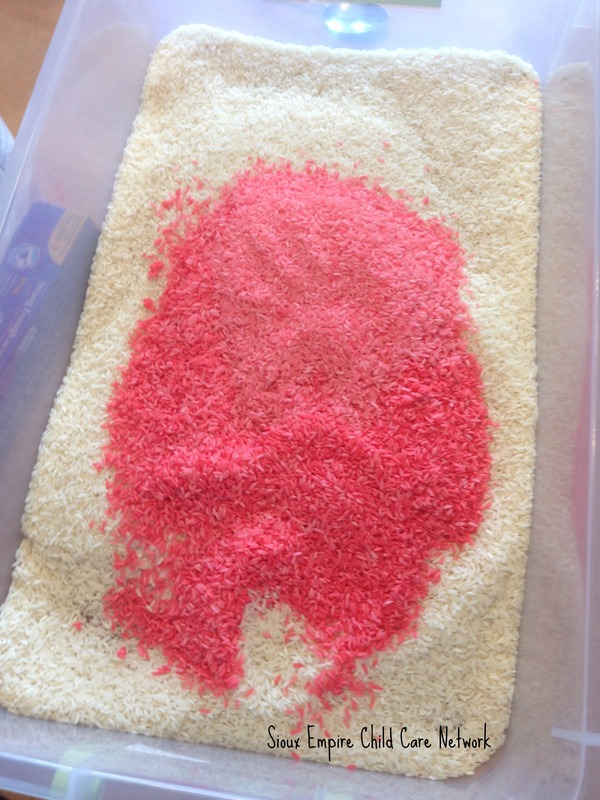 Take the amount of rice you want and put it in your sensory tub. b. Get a container with a lid that shuts tight. 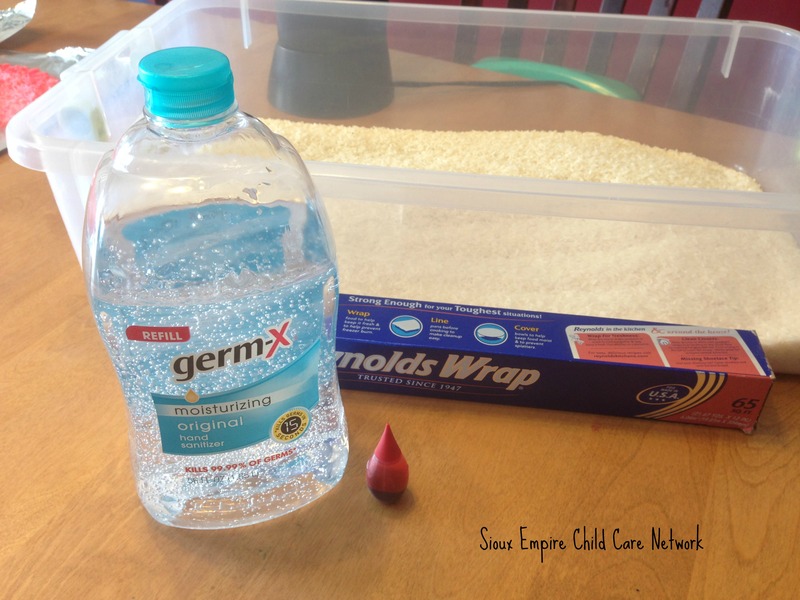 Add about 1/8 cup of hand sanitizer and regular food coloring from your kitchen. c. Add however much rice you want to change. The more food coloring the darker it is. You can always add more food coloring as you go. d. Place the lid on it and shake it good. 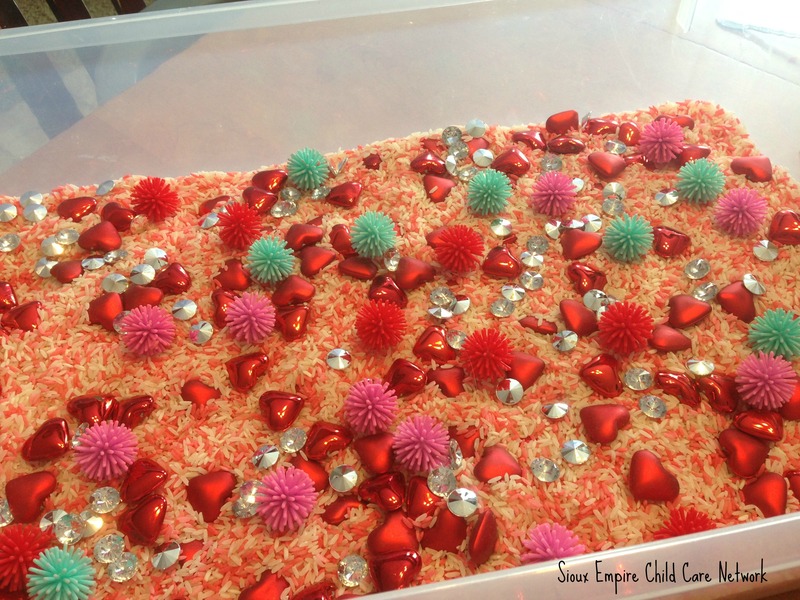 e. Poor rice out on tinfoil on a table or a cookie sheet and let dry in the sun or naturally in the kitchen. It takes about 20min to fully dry. Use a spoon and move around the rice. 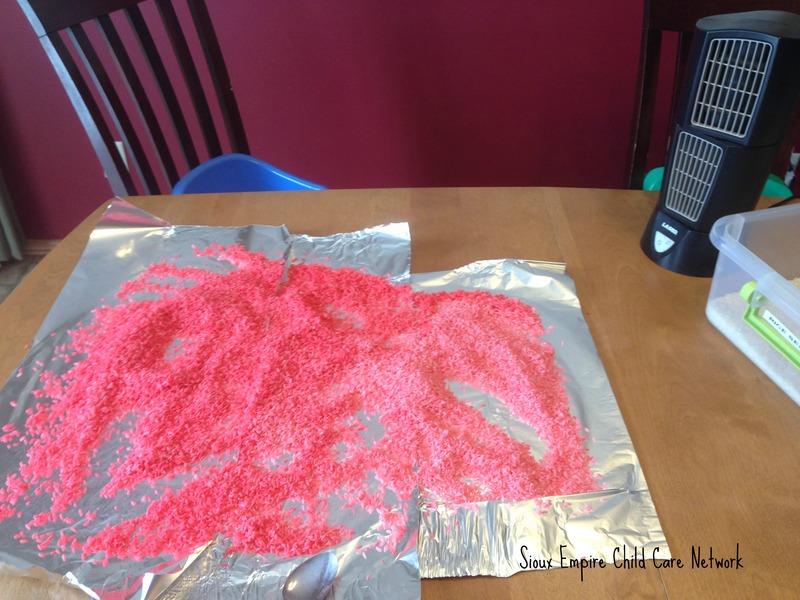 It should be dry before adding to your sensory bin. 4. 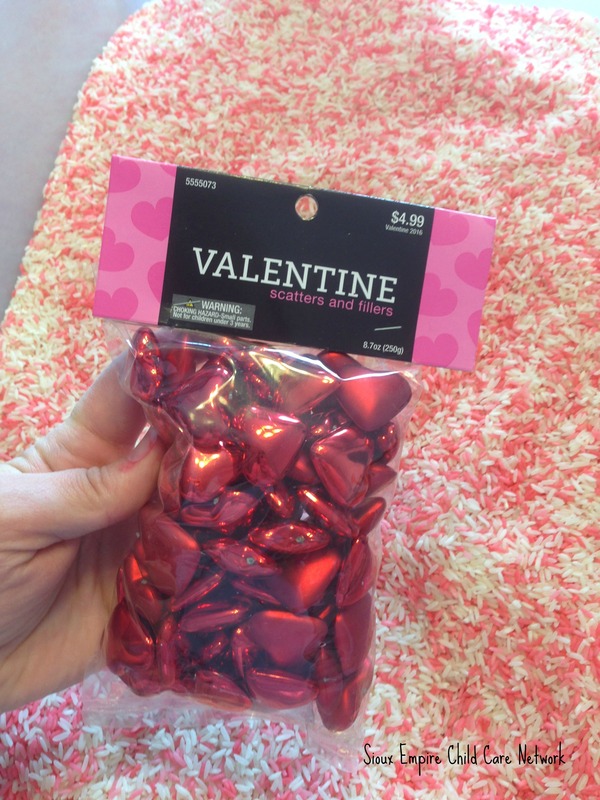 I wanted more so I went to the hobby store and picked up these neat hearts! 5. I added it all together and here is my finished product. I am already aware I will need to get the clear plastic bowels out. 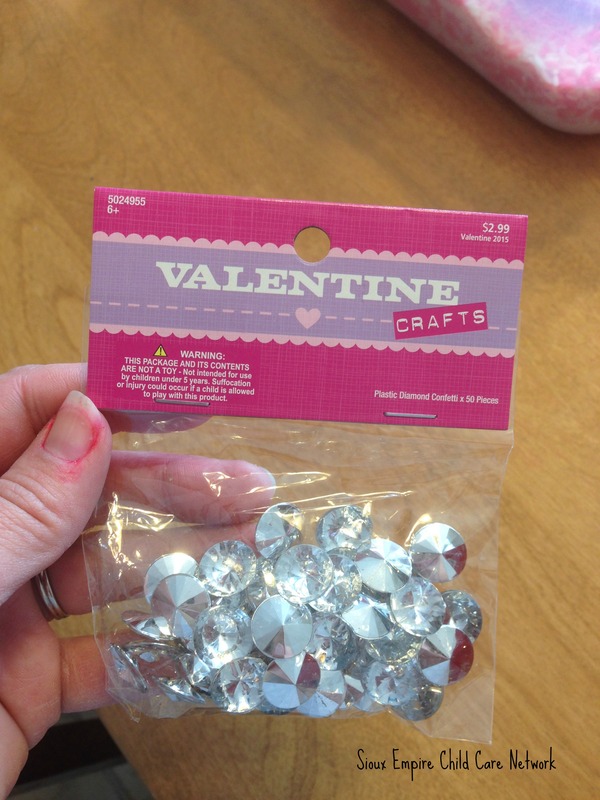 I keep them on hand because the kids will want to sort them and then count the items. While I was looking for something more to add at the hobby store, these gems caught my eye and I was able to make a neat light table too! I hope this gets the creative juices flowing.